Detroit has been ranked as the tenth most expensive city to rent in the month of June, according to a report from real estate listing site Zumper. 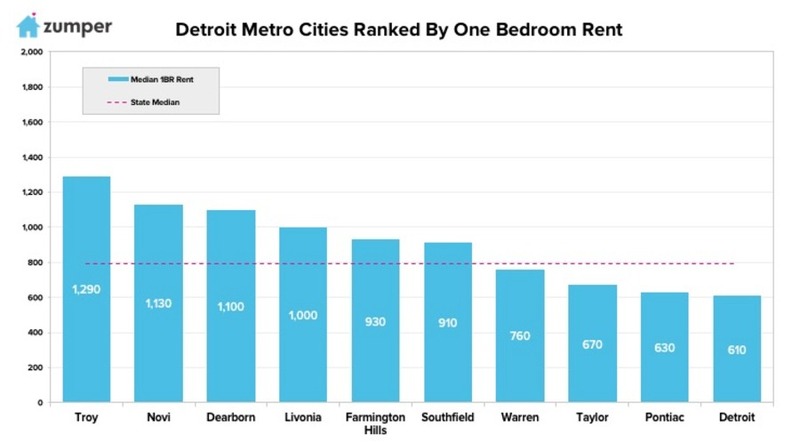 Although rent dropped $70 to $1,290, Troy remains the most expensive city to rent in metro Detroit. 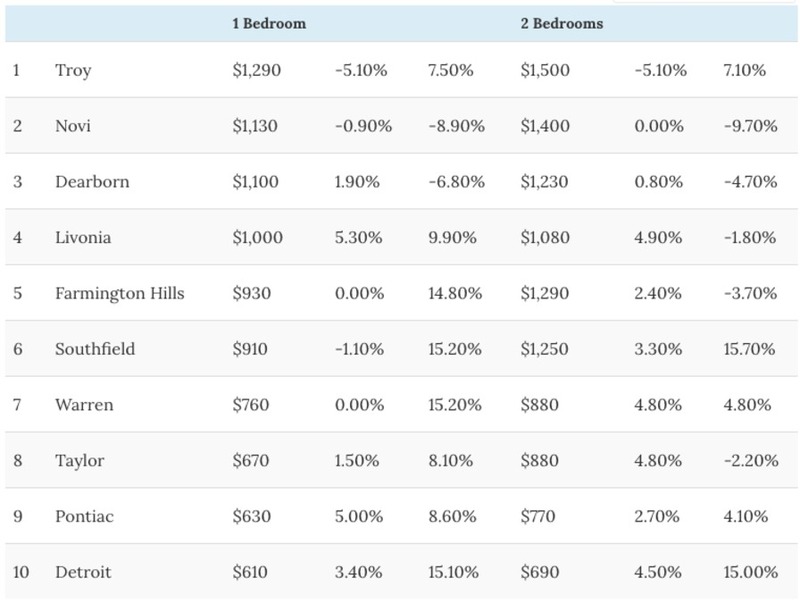 Novi comes in at second with one bedrooms priced at $1,130. In third, Dearborn with rent at $1,100. As for the least expensive cities to rent, Detroit remained the most affordable despite a $20 increase to $610. Pontiac came in as the second least expensive at $630, and Taylor ranked in third at $670. Just last month, the median one bedroom rent was $791 in Michigan. The study also cited Southfield and Warren as the fastest growing cities with the fastest growing rent prices.